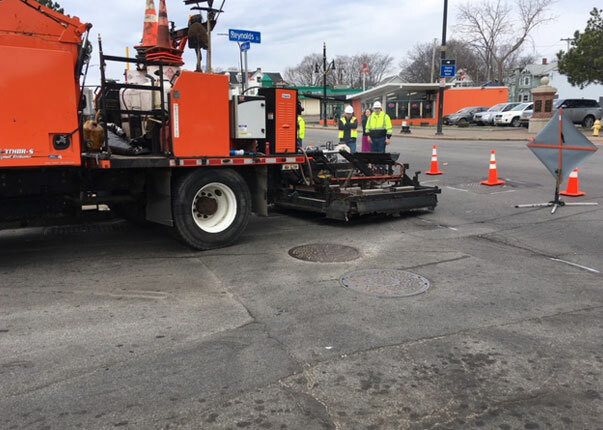 HOLES Solutions was selected to demonstrate their infrared truck along with the manufacturer, Heat Design Equipment for the city of Rochester NY. 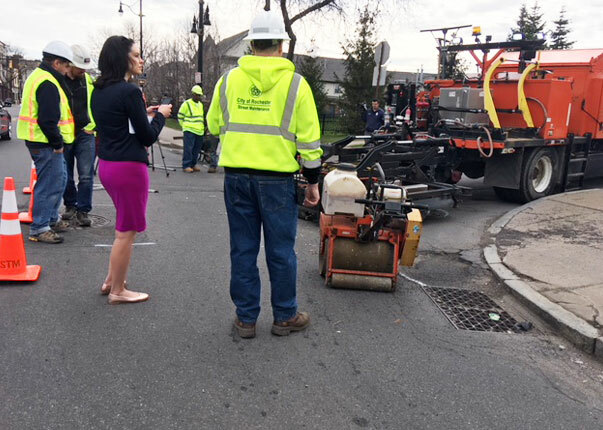 From City executives down to the Road Department, all were in attendance. Holes is proud to work with Heat Design, the leaders in infrared technology. 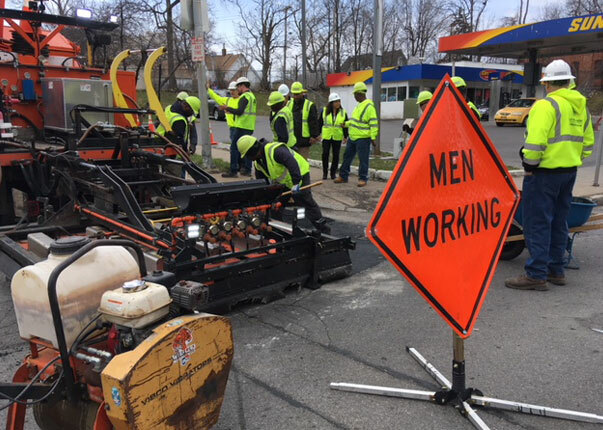 The demonstration included patching potholes with infrared asphalt trucks and infrared asphalt technology. A valued supplier to HOLES Solutions, Heat Design was founded in 1976 and manufactures industry-leading asphalt heating equipment for asphalt pavement patching, longitudinal joint heating for durable joints and pre-heating for cold weather paving, as well as asphalt recyclers and hot box storage containers. These heaters provide high intensity which penetrate radiant heat into asphalt in place without burning the surface. 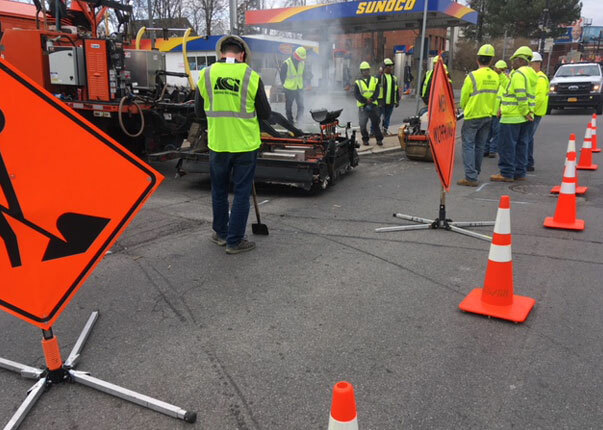 Open flame to re-heat pavement surfaces has been shown to damage the asphalt without achieving penetration to an effective depth. 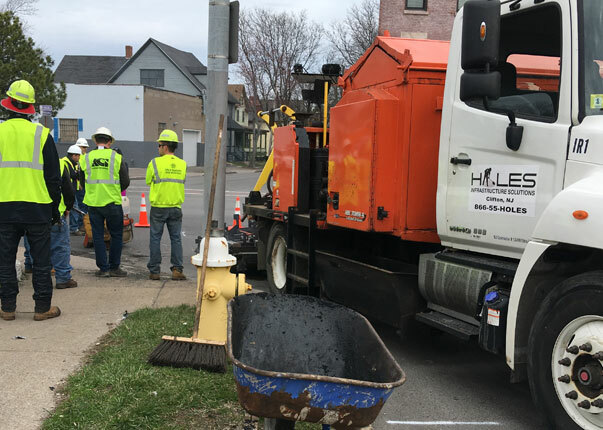 As a sister company to Steve Rich Environmental Contractors, HOLES has been serving the New Jersey – New York metropolitan area since 1981, providing expert contracting services for residential, commercial and municipal clients.